Saudi Aramco (Arabic: أرامكو السعودية‎ ʾArāmkō s-Saʿūdiyyah), officially the Saudi Arabian Oil Company, most popularly known just as Aramco (formerly Arabian-American Oil Company), is a Saudi Arabian national petroleum and natural gas company based in Dhahran. Saudi Aramco's value has been estimated at anywhere between US$1.25 trillion and US$10 trillion, making it the world's most valuable company. Through its subsidiary company, the Bahrain Petroleum Co. (BAPCO), SoCal struck oil in Bahrain in May 1932. This event heightened interest in the oil prospects of the Arabian mainland. On 29 May 1933, the Saudi Arabian government granted a concession to SoCal in preference to a rival bid from the Iraq Petroleum Co.. The concession allowed SoCal to explore for oil in Saudi Arabia. SoCal assigned this concession to a wholly owned subsidiary, California-Arabian Standard Oil (CASOC). In 1936, with the company having had no success at locating oil, the Texas Oil Co. (Texaco) purchased a 50% stake of the concession. In 1950, King Abdulaziz threatened to nationalize his country's oil facilities, thus pressuring Aramco to agree to share profits 50/50. A similar process had taken place with American oil companies in Venezuela a few years earlier. The American government granted US Aramco member companies a tax break known as the golden gimmick equivalent to the profits given to King Abdulaziz. In the wake of the new arrangement, the company's headquarters were moved from New York to Dhahran. In 1951, the company discovered the Safaniya Oil Field, the world's largest offshore field. In 1957, the discovery of smaller connected oil fields confirmed the Ghawar Field as the world's largest onshore field. In 1973, following US support for Israel during the Yom Kippur War, the Saudi Arabian government acquired a 25% stake in Aramco. It increased its shareholding to 60% by 1974, and finally took full control of Aramco by 1980, by acquiring a 100% percent stake in the company. Aramco partners continued to operate and manage Saudi Arabia's oil fields. In November 1988, a royal decree changed its name from Arabian American Oil Co. to Saudi Arabian Oil Co. (or Saudi Aramco) and took the management and operations control of Saudi Arabia's oil and gas fields from Aramco and its partners. In 1989–90, high-quality oil and gas was discovered in three areas south of Riyadh—the Raghib area about 77 miles southeast of the capital. In 2005, Saudi Aramco was the world's largest company with an estimated market value of $781 billion. In 2011, Saudi Aramco started production from the Karan Gas Field, with an output of more than 400 million scf per day. Saudi Aramco is headquartered in Dhahran, but its operations span the globe and include exploration, production, refining, chemicals, distribution and marketing. All these activities of the company are monitored by the Saudi Arabian Ministry of Petroleum and Mineral Resources together with the Supreme Council for Petroleum and Minerals. However, the ministry has much more responsibility in this regard than the council. A significant portion of the Saudi Aramco workforce consists of geophysicists and geologists. Saudi Aramco has been exploring for oil and gas reservoirs since 1982. Most of this process takes place at the Exploration and Petroleum Engineering Center (EXPEC). Originally, Saudi Aramco used Cray Supercomputers (CRAY-1M) in its EXPEC Computer Center (ECC) to assist in processing the colossal quantity of data obtained during exploration and in 2001, ECC decided to use Linux clusters as a replacement for the decommissioned Cray systems. ECC installed a new supercomputing system in late 2009 with a disk storage capacity of 1,050 terabytes (i.e, exceeding one petabyte), the largest storage installation in Saudi Aramco's history to support its exploration in the frontier areas and the Red Sea. While the company did not originally plan on refining oil, the Saudi government wished to have only one company dealing with oil production. Therefore, on 1 July 1993, the government issued a royal decree merging Saudi Aramco with Samarec, the country's oil refining company. The following year, a Saudi Aramco subsidiary acquired a 40% equity interest in Petron Corp., the largest crude oil refiner and marketer in the Philippines. Since then, Saudi Aramco has taken on the responsibility of refining oil and distributing it in the country. Currently, Saudi Aramco's refining capacity is more than 4 million barrels per day (640,000 m3/d) (International joint and equity ventures: 2,060 Mbbl/d (328,000,000 m3/d), domestic joint ventures: 1,108 mpbd, and wholly owned domestic operations: 995 Mbbl/d (158,200,000 m3/d).) This figure is set to increase as more projects go online. Saudi Aramco's downstream operations are shifting its emphasis to integrate refineries with petrochemical facilities. Their first venture into it is with Petro Rabigh, which is a joint venture with Sumitomo Chemical Co. that began in 2005 on the coast of the Red Sea. Learn how and when to remove this template message. The company has an "Environmental Master Plan" to reduce the emissions provided by Capital Programs, some of which has already been completed. Saudi Aramco is a leading company in the region in reducing sulfur emissions, CO2, and flaring. Also, a CEO Dashboard complemented by an annual Environmental Report shows the exact Environmental statistics and Key Performance Indicators in terms of air and sea water pollutions. The "FT's Non-Public 150" by the Financial Times and McKinsey - the study of the world’s largest unlisted companies — 2006). Aramco computers were attacked by a virus on 15 August 2012. The following day Aramco announced that none of the infected computers were part of the network directly tied to oil production, and that the company would soon resume full operations. Hackers claimed responsibility for the spread of the computer virus. The virus hit companies within the oil and energy sectors. A group named "Cutting Sword of Justice" claimed responsibility for an attack on 30,000 Saudi Aramco workstations, causing the company to spend a week restoring their services. The group later indicated that the Shamoon virus had been used in the attack. Due to this attack, the main site of Aramco went down and a message came to the home page apologizing to customers. Computer security specialists said that "The attack, known as Shamoon, is said to have hit "at least one organization" in the sector. Shamoon is capable of wiping files and rendering several computers on a network unusable." List of oil fields: All of those located in Saudi Arabia are owned by Saudi Aramco. ^ "Our Leadership". Saudi Aramco. ^ "Saudi Aramco - 75 years" (PDF). ^ "Our Story - About Saudi Aramco". 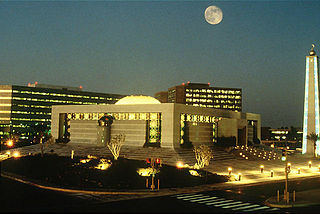 Saudi Aramco. Retrieved 23 April 2016. ^ The Report: Saudi Arabia 2009. Oxford Business Group. 2009. p. 130. ISBN 978-1-907065-08-8. ^ "Our company. At a glance". Saudi Aramco. The Saudi Arabian Oil Co. (Saudi Aramco) is the state-owned oil company of the Kingdom of Saudi Arabia. ^ "Stop the press! Apple is NOT the world’s most valuable company". ^ "Could Saudi Aramco Be Worth 20 Times Exxon?". Wall Street Journal. 8 Jan 2016. ^ a b c "Page not found". Saudi Aramco. ^ "Top 10 oil companies worldwide based on daily production as of 2014"; statista, retrieved 16 February 2016. ^ "Contact Us", Saudi Aramco; retrieved 5 November 2009. "Headquarters: Dhahran, Saudi Arabia Address: Saudi Aramco P.O. Box 5000 Dhahran 31311 Saudi Arabia"
^ a b c d Aramco Overseas Company - About Saudi Aramco, aramcooverseas.com; accessed 11 November 2014. ^ "Encyclopaedia Brittanica". Retrieved 15 February 2015. ^ Owen, E.W. (1975). Trek of the Oil Finders: A History of Exploration for Petroleum. Tulsa: AAPG. pp. 1290–93. ^ Yergin, Daniel (2008). The Prize: The Epic Quest for Oil, Money and Power. New York: Simon and Schuster. pp. 265–74. ISBN 978-1439110126. ^ "Oil Company Histories". Virginia University. Retrieved 9 August 2012. ^ "Saudi Arabian Oil Company History from Fundinguniverse.com". Funding Universe. Retrieved 18 August 2012. ^ "The Story of Oil in Saudi Arabia". Saudi Gazette. 18 May 2008. Retrieved 2 October 2014. ^ Morton, Michael Q. (2013). "Once Upon a Red Line: The Iraq Petroleum Company Story". GeoExpro (Ipad App 6). Retrieved 2 October 2014. ^ "Saudi Aramco by the Numbers". Saudi Aramco World 9 (3). May–June 2008. Retrieved 2 October 2014. ^ a b "Timeline". Saudi Embassy. Retrieved 25 June 2012. ^ "A Brief History Of Major Oil Companies In The Gulf Region With Corporate Contact Information, Compiled By Eric V. Thompson, Petroleum Archives Project Arabian Peninsula & Gulf Studies Program, University of Virginia". University of Virginia. ^ "Saudi Aramco Announces Oil and Gas Find, Third Since July". Associated Press. 7 January 1990. Retrieved 31 December 2012. ^ "Financial Times Non-public Top 150". The Financial Times. Retrieved 23 September 2012. ^ DiPaola, Anthony (26 July 2011). "Saudi Aramco Starts Production From Karan Gas Field in July". Bloomberg. ^ a b "Saudi Arabia". Revenue Watch Institution. Retrieved 16 September 2013. ^ Cray FAQ Part 3: FAQ kind of items, spikynorman.dsl.pipex.com; accessed 11 November 2014. ^ "Saudi EXPEC Computer Center Deploys Supercomputer", 24 February 2010; accessed 11 November 2014. ^ a b c d Saudi Aramco Annual Review 2010, saudiaramco.com; accessed 11 November 2014. ^ "SAUDI ARAMCO TOTAL Refining and Petrochemical Co. (SATORP) completes US$8.5 Billion project financing for Jubail Refinery". Retrieved 18 August 2012. ^ "History". Vela International Marine Limited. Retrieved 9 August 2012. ^ "FT Non-Public 150 - the full list". Financial Times. ^ "Saudi Aramco says virus shuts down its computer network". 15 August 2012. ^ "Aramco Says Virus Attacks Network, Oil Output Unaffected". 16 August 2012. ^ Arthur, Charles (16 August 2012). "Saudi Aramco hit by computer virus". The Guardian. ^ a b "Shamoon virus targets energy sector infrastructure". BBC News. 16 August 2012. ^ "Virus knocks out computers at Qatari gas firm RasGas". CNET. 30 August 2012. Retrieved 1 September 2012. ^ "Some Signs Point to Shamoon as Malware in Aramco Attack". Threat Post. 16 August 2012. Vitalis, Robert (2006). America's Kingdom: Mythmaking on the Saudi Oil Frontier. Stanford: Stanford University Press. ISBN 0-8047-5446-2. 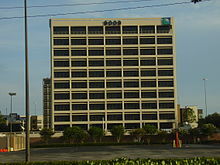 Wikimedia Commons has media related to Saudi Aramco. A CNN report about the security of oil in Saudi Arabia. Much of it is about Saudi Aramco security. CBS 60 Minutes (2008-12-07) "The Oil Kingdom: Part One". CBS 60 Minutes (2008-12-07) "The Oil Kingdom: Part Two". This page was last modified on 25 April 2016, at 15:58.